Google AdWords is quite costly even if you bid on low or medium popularity keywords (and especially keywords related to buying online). Facebook is a new system wanting to jump into paid advertisement. If you hit the right niches, you can get traffic for a fraction of PPC pricing. Facebook ads are much more cost-effective and very good for small businesses trying to acquire a presence online without a large budget. Visual aid will be provided to your ad through this feature. An image is worth a thousand words and the capability to show images in ads is a large advantage Facebook has over Google AdWords. You can use images in Google AdWords by creating your own image banners but they don’t convert too well. In Facebook ads, it is simple to upload a small image along with your text, which helps drawing attention of your target user. It is also good if you want to show images of your brand or product. I believe this is the most powerful feature of Facebook ads. Facebook ad descriptions can be up to 135 characters long (versus 75 at Google AdWords). More space for creativity. In Google AdWords you can’t use exclamation marks (!) 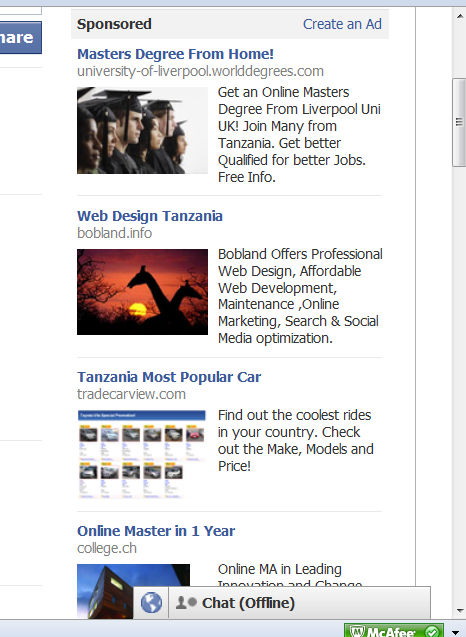 while Facebook grants you to use it, this creating more effect in the ad. Restrictions are also less when it comes using many different words (copyright issues) in Facebook. 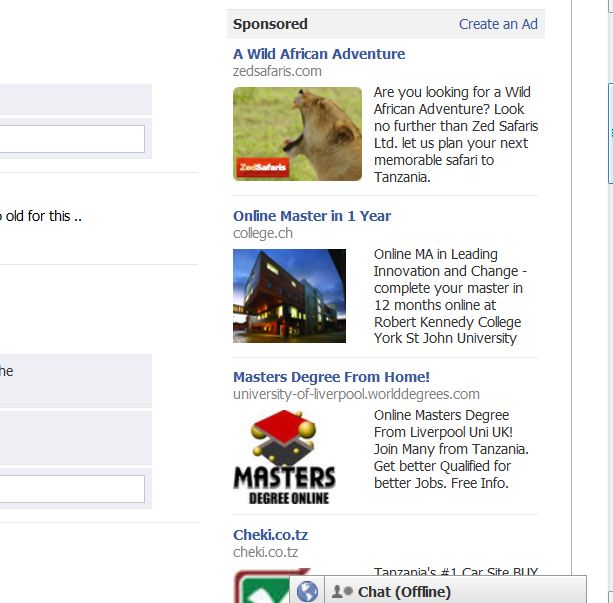 On the whole, setting up an ad campaign on Facebook is much less frustrating. One of the main advantages of using Facebook ads is the ability to target customers more granularly by their interests, as well as other demographic factors such as age, education, connections, location, etc. Instead of targeting users based on search intent and bidding on keywords (think Google AdWords), Facebook allows advertisers the ability to hone in on a very qualified, niche audience at a reasonable cost. Selecting the option to target Facebook users whose friends already “like” that particular page can dramatically help to reinforce the advertising message by utilizing the power and influence of a Facebook user’s connections. With this option selected, the ad will include that users’ friends name next to a thumbs up “Like” icon (see below example), which can boost click through rate and improve the potential for that user to like that particular page; because their decision is being influenced by their friends’ interests and “likes”. Showing these connection preferences can have a strong influence over the success of an ad and the action the user takes once on the Page in question. Take advantage of these targeting factors, because if you’re not then you’re missing out on the large advertising potential of Facebook. Increase targeting to make an advertisement more relevant. If you are using Google AdWords or any other paid search platform, it will be a great intent to try Facebook ads. You will be surprised by the outcome and scope. Getting started with Facebook advertising is simple; albeit a manual process that requires basic planning, targeting and creativity. With Facebook’s 500 million+ active user base, there is a compelling reason to test Facebook advertising for your brand, products or services – your customers are online and on Facebook. You need to first Understand goals and objectives for the campaign: In our experience, we’ve seen a higher success rate in driving “likes” to Facebook pages and increasing fan engagement vs. taking people to a landing page or website. The culprit? Facebook-ers typically don’t like to be taken off of Facebook while they’re in Facebook mode, and thus, taking people off of Facebook results in a high bounce rate and low qualified, less engaged traffic. See also : Prediction: Facebook Will Surpass Google In Advertising Revenues [Washington Post ] .